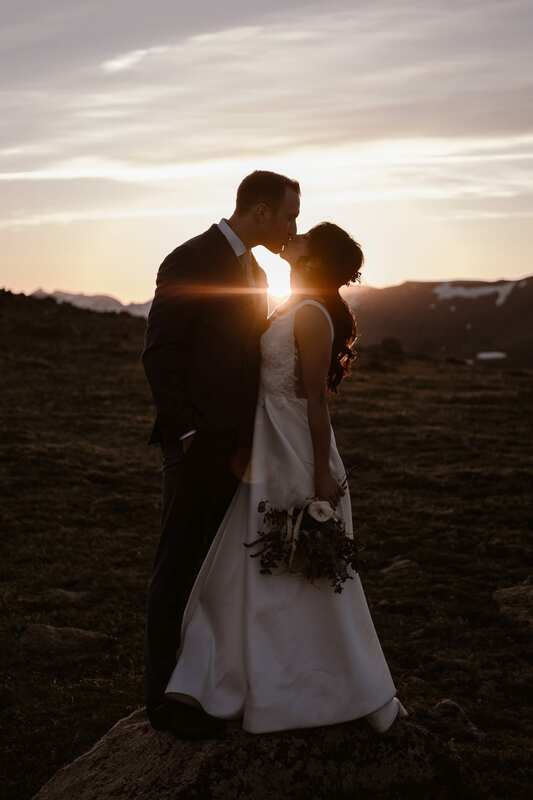 Diana and Will have been one of my favorite couples to work with, from their Dream Lake engagement session to their Breckenridge Nordic Center wedding, and now finally to letting me be their Trail Ridge Road elopement photographer for an adventure session a few days after their mountain wedding. 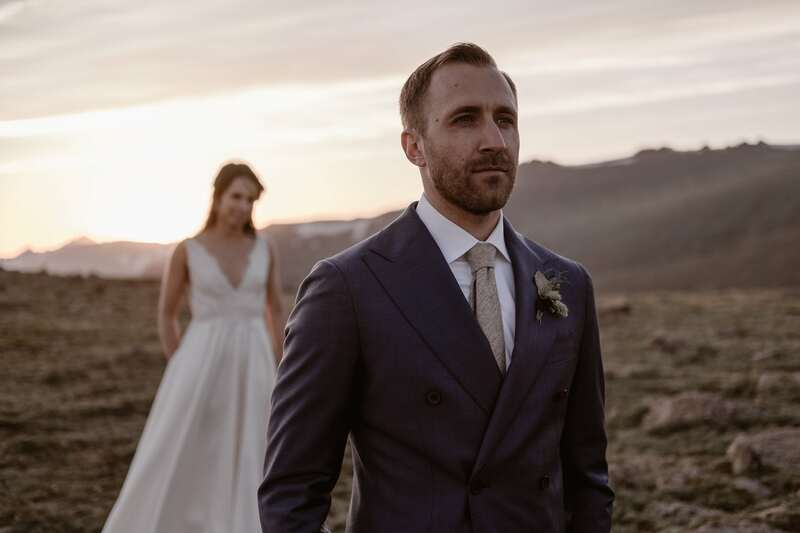 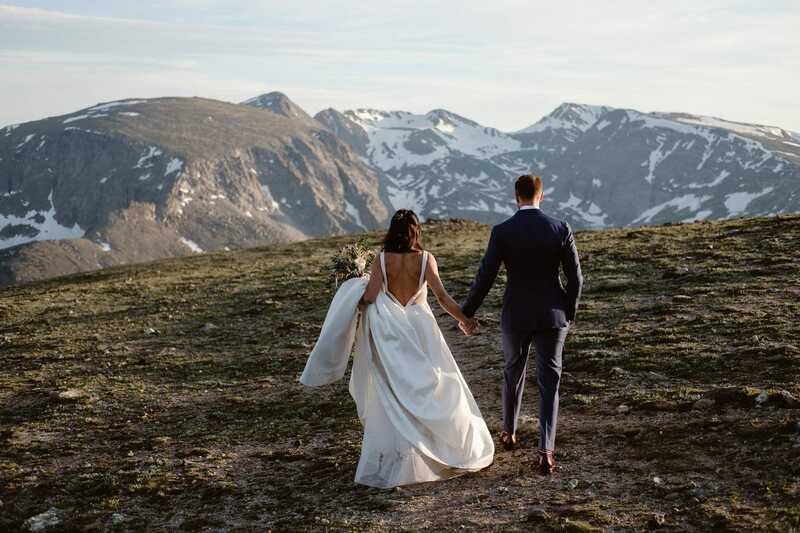 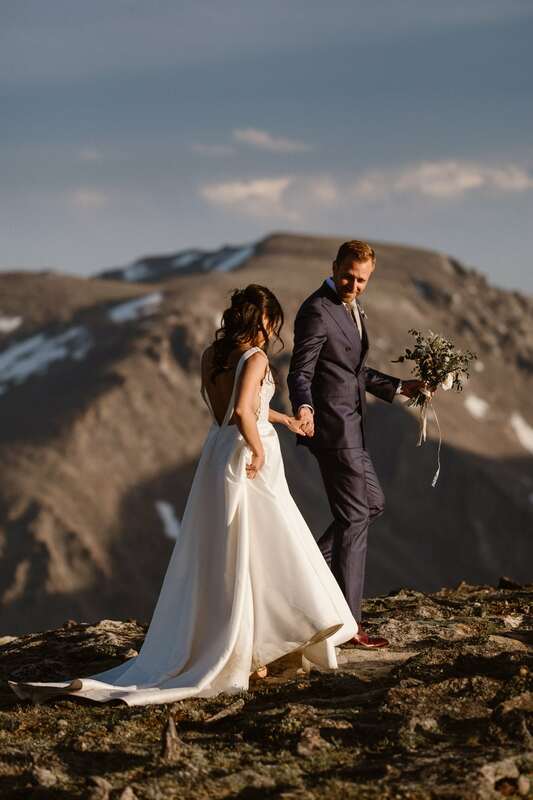 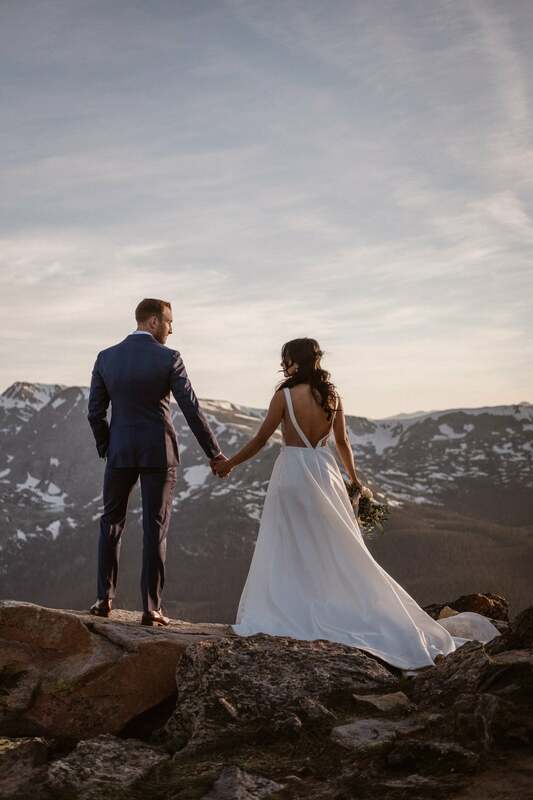 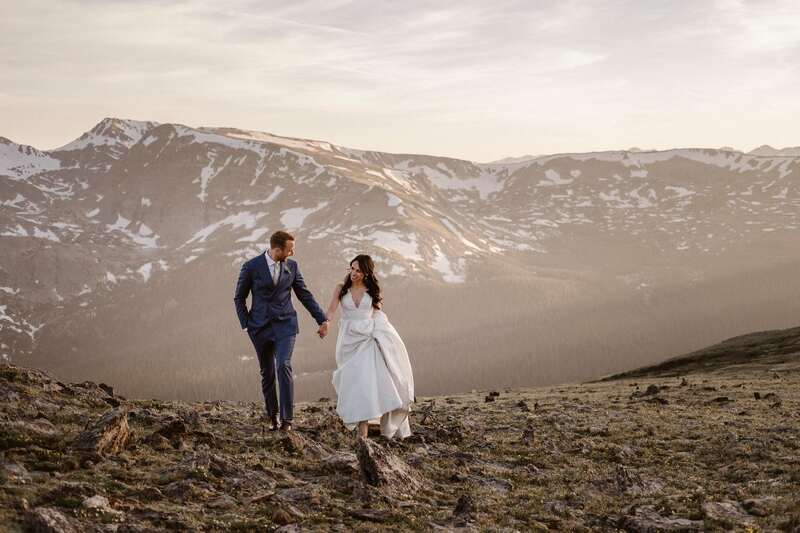 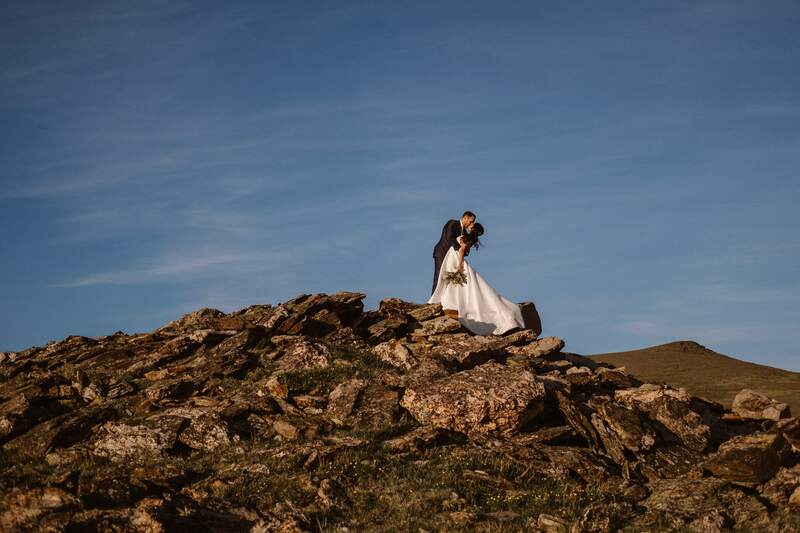 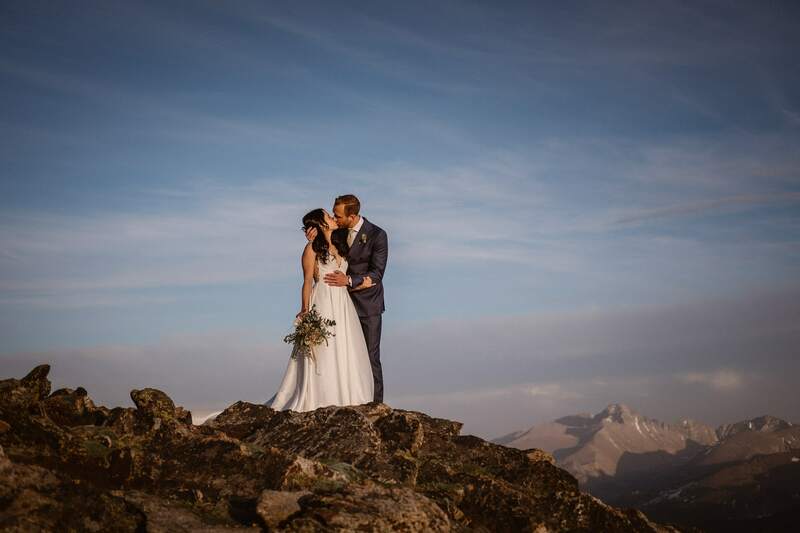 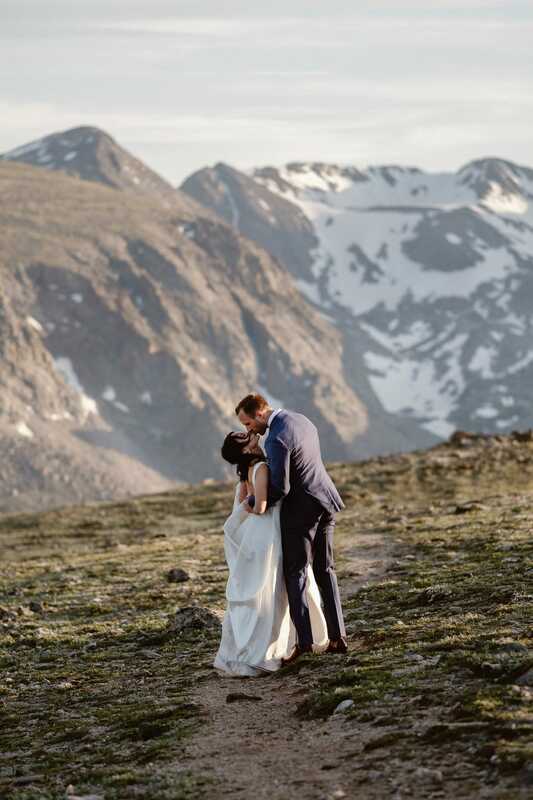 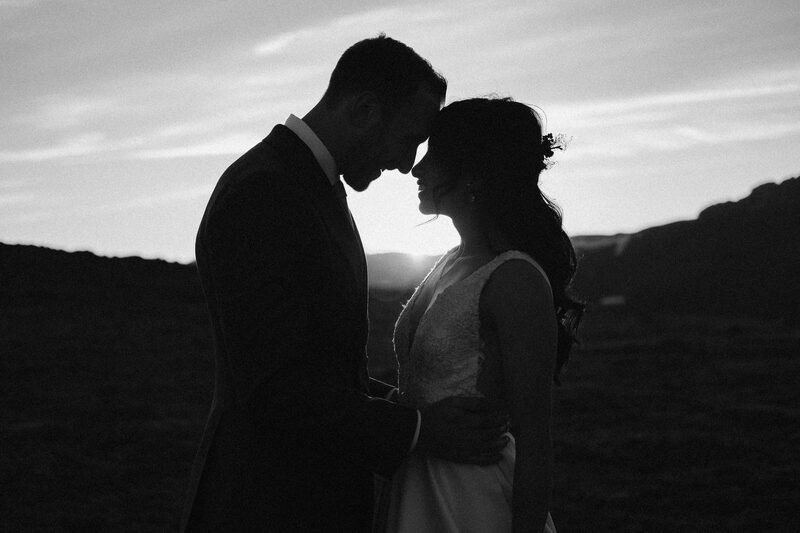 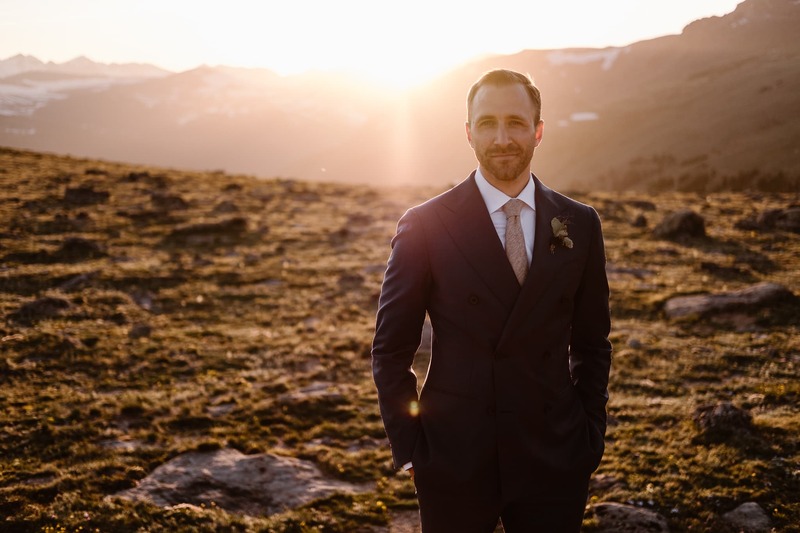 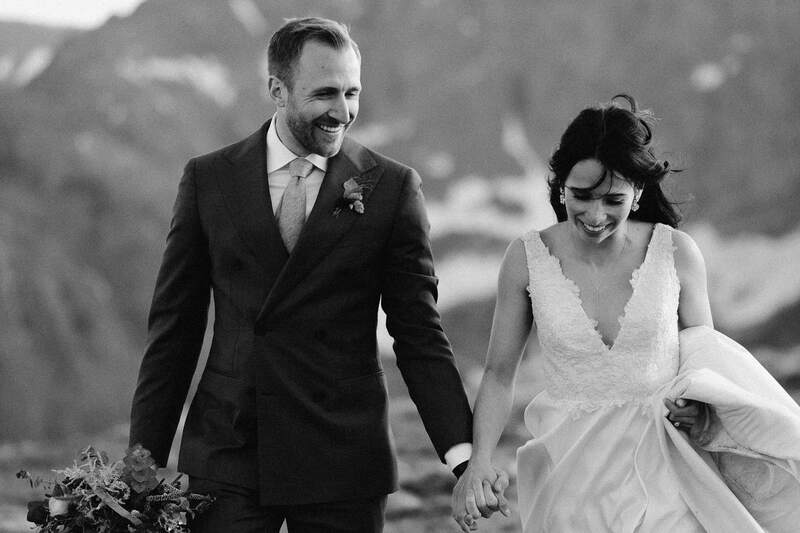 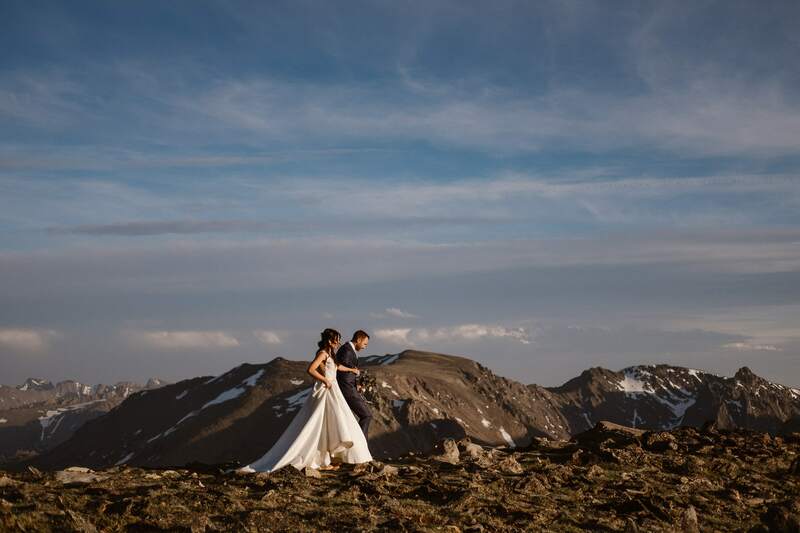 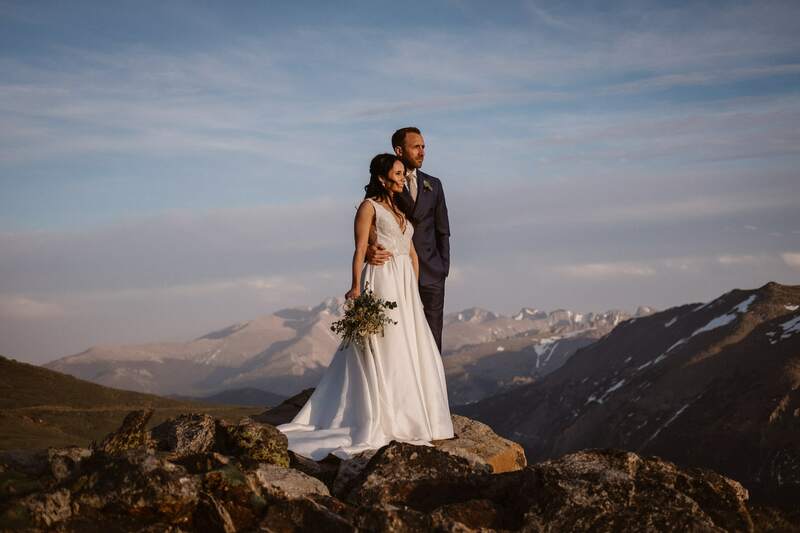 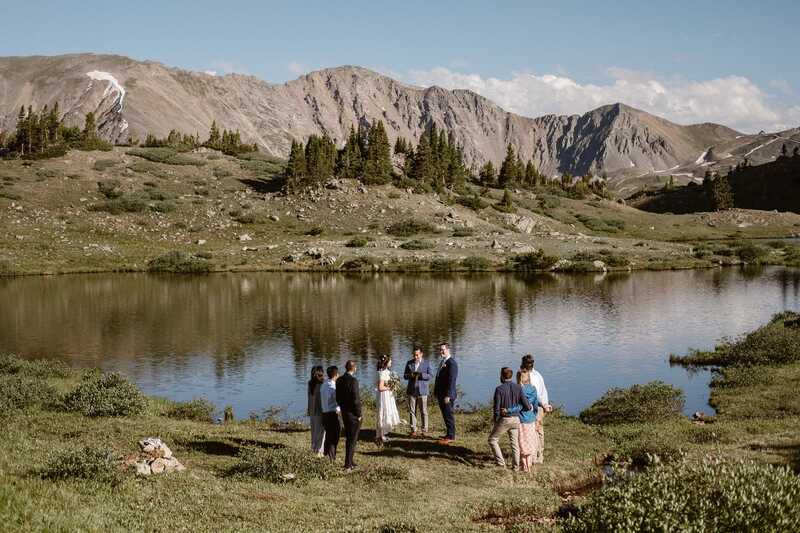 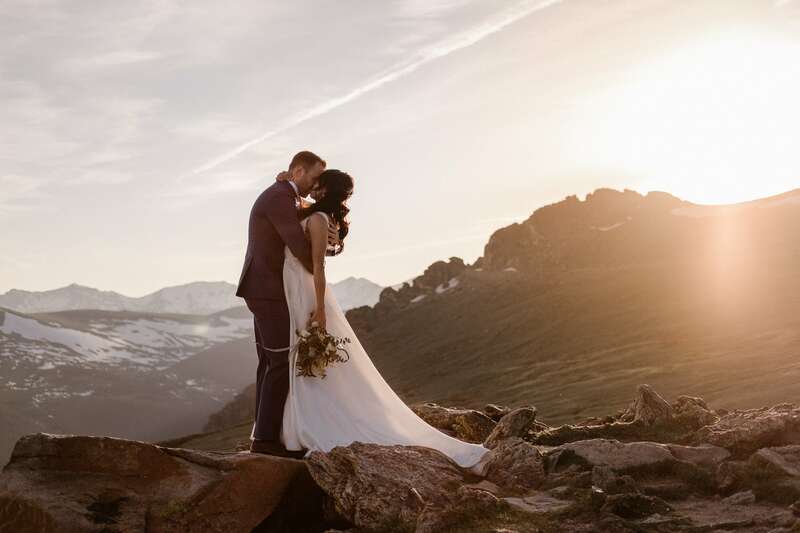 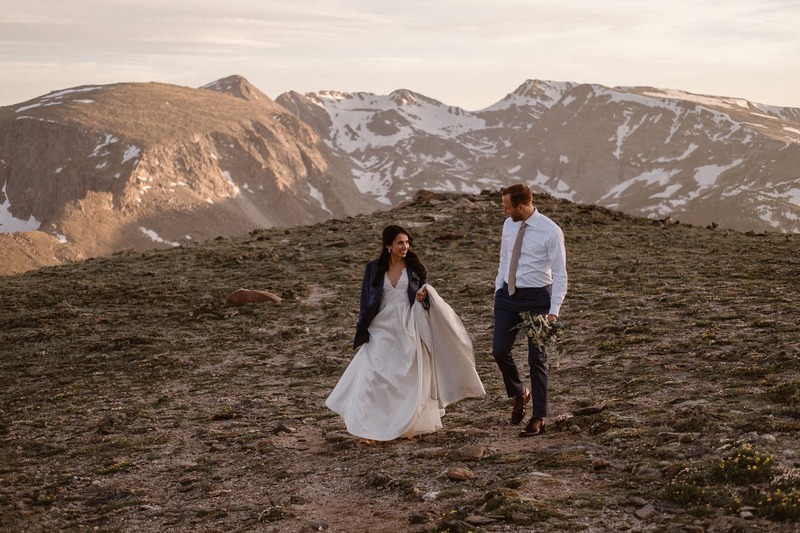 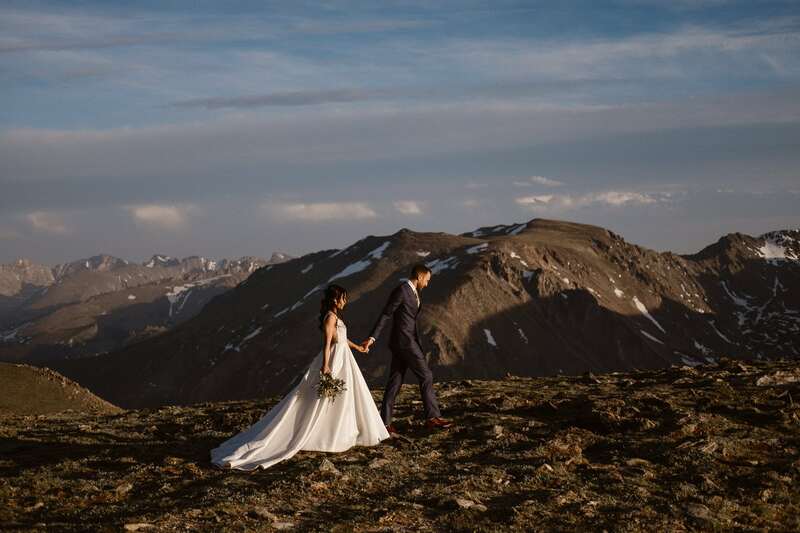 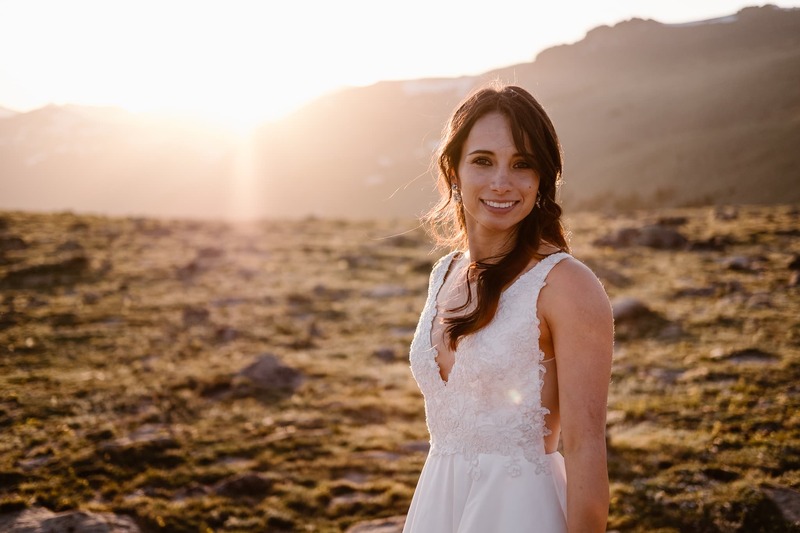 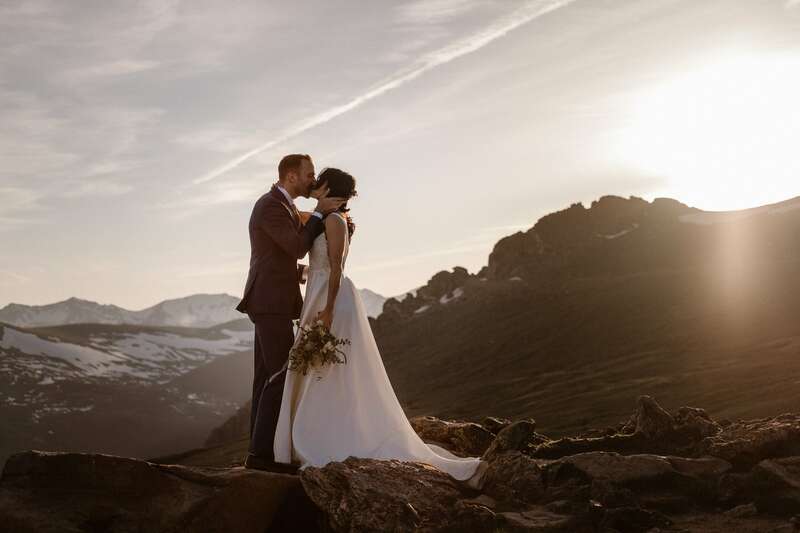 One of the challenges as a Trail Ridge Road elopement photographer, that people rarely think about, is to be respectful of the fragile tundra environment. 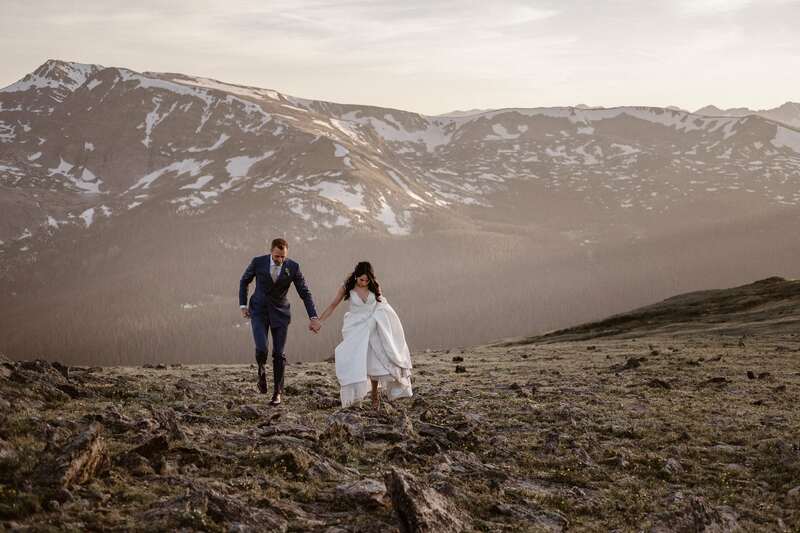 There are signs all over Rocky Mountain National Park asking people to stay on trail and stay off the tundra, and yet I see so many photos of people jumping fences, lying down on top of flowers that will take 100 years to regrow, and otherwise just completely disrespecting the rules of Leave No Trace. 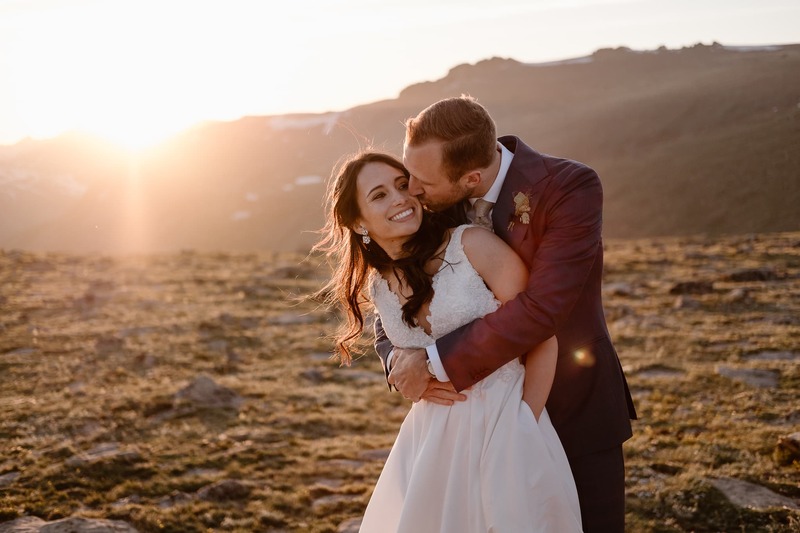 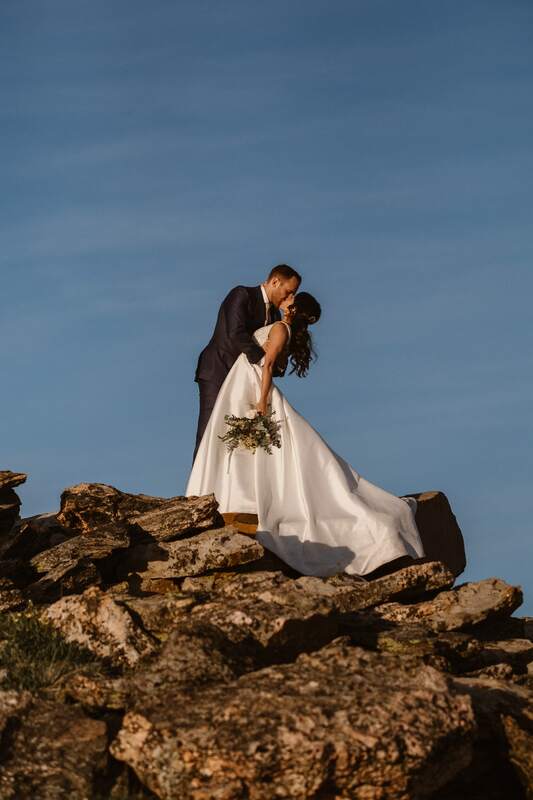 Diana and Will and I took great care to only walk on the sandy trails and rocks, and even got creative with angles – the photos of them with the gorgeous golden sunset glow are all taken on the rocks that line a parking lot! 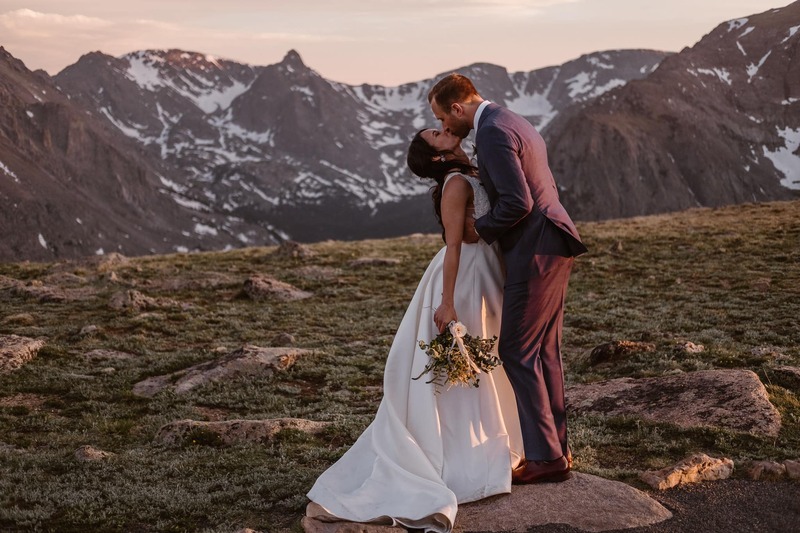 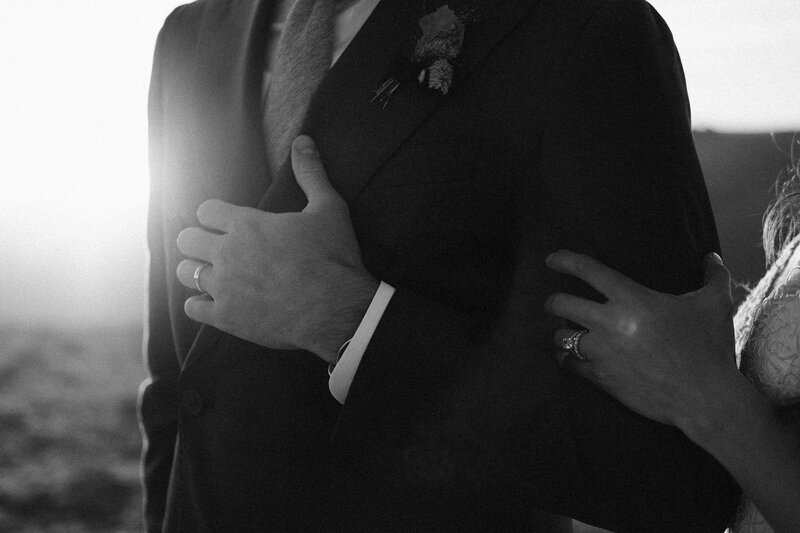 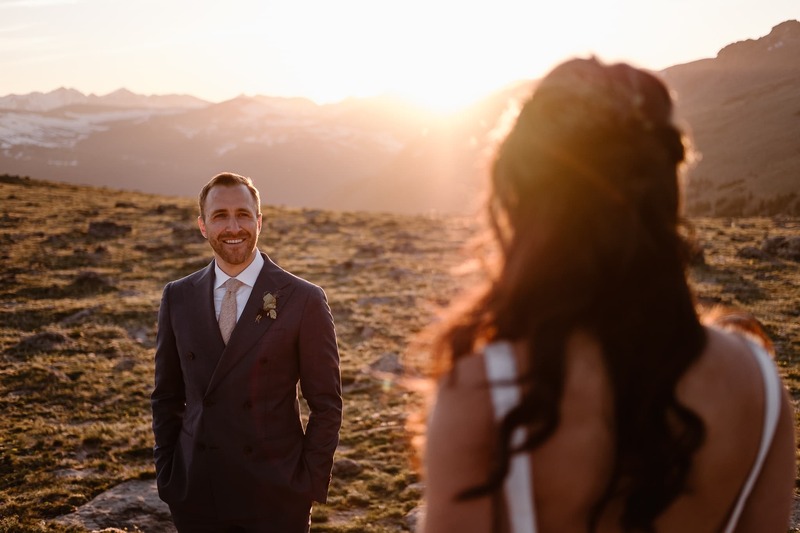 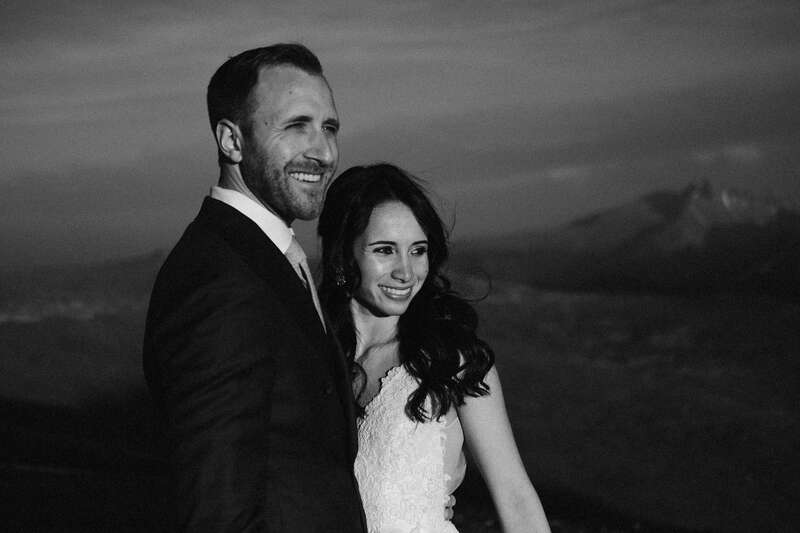 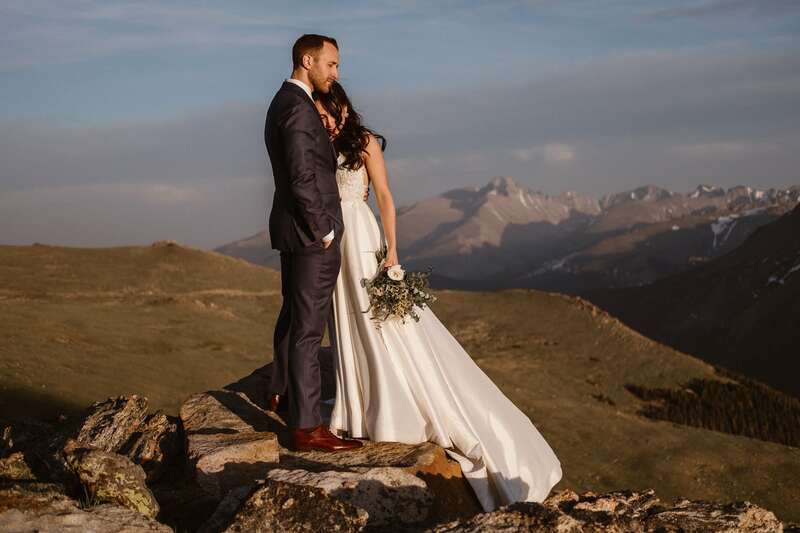 Colorado adventure elopements are my absolute favorite to capture, so if you’re looking for a Trail Ridge Road elopement photographer (or want to go somewhere off the beaten path), hit me up and let’s make it happen!